For more information, please visit the Bobro Engineering webpage. Miami, FL – (January 2015) – Mounting Solutions Plus, a manufacturer and distributor of firearm products, announces the expansion of their Bobro product offering. New products include the Bobro AR LowRider BUIS Set, as well as Bobro Trijicon MRO mounts. Designed with Short Barrel Rifle owners in mind, Bobro LowRider Sights are extremely low profile. This design prevents them from interfering with lights, lasers and optics. Even though these backup iron sights were designed to fill a specific need, they can still be used on a full size rifle in traditional BUIS positions. Despite their low profile design, LowRider Sights maintain all of the adjustability of a standard set of BUIS, such as Windage and Elevation. BOBRO Trijicon MRO Mounts feature the patent-pending BLAC lever system which allows for a rock-solid engagement with a 1913 Picatinny rail without the need for manual adjustment. Offset risers and cantilevered risers can be conveniently used with this modular system, providing a custom fit for all sorts of applications. Bobro MRO mounting systems available include a Low Mount, Lower 1/3 Mount, and Absolute Co-Witness Mount. Bobro Trijicon MRO Mounts come with all tools necessary for installation. For more information on Mounting Solutions Plus, please visit www.mountsplus.com or follow us on Facebook and Twitter. Mounting Solutions Plus will be at Booth 20201 in the LE Section of SHOT Show 2016. Mounting Solutions Plus was founded in 1994 as a one product firearm accessory manufacturing company making our Muzzelite stocks. 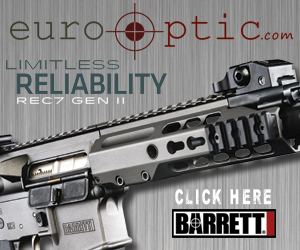 Through dedication to providing quality merchandise and service to the firearm and shooting communities, we have since grown from a one product/one man operation to being a manufacturer and distributor of over 5000 products, with names that include Magpul, Tapco, Samson, Vortex and Nightforce. Even with our exponential growth, we still believe that the customer is our number one priority and strive to make sure your experience with MSP exceeds your expectations. For more information, please visit our website at www.MountsPlus.com. Gorilla Ammunition conducting firearm package giveaway with industry partners. Gorilla Ammunition with shooting sports and defense training industry leaders building a firearm and training package. One lucky entrant will be awarded this package valued at over $5,000. Vero Beach, FL, – August 25, 2015 – Gorilla Ammunition, a manufacturer of high quality modern sporting rifle ammunition, partnered with nearly a dozen leaders in the firearms and training industry to build an incredible firearms package as part of sweepstakes. “We were looking for a new way to engage our current customers and grow our brand awareness with consumers not familiar with Gorilla Ammunition. Turning to our friends in the industry we were able to put together a package that is awesome. Not only is the lucky winner going to be able to have a one of kind AR15, we are providing ammunition and training, so this will allow the winner to learn safe firearms handling techniques and also learn to employ the firearm in various tactical situations by attending Tactical Response class” said Gorilla Ammunition’s Jay Duncan. The Gorilla Ammunition sweepstakes begins on August 26th and the winner be selected on Thanksgiving, which is November 26, 2015. The winner will be announced the Gorilla Ammunition Facebook page. “We appreciate Jay, Gorilla Ammunition, and other industry partners for conducting this great sweepstakes. We are confident the consumers will be encouraged to participate and support the companies which are making donations.” said Nate Stokes of Unity Tactical. Gorilla Ammunition is a manufacturer of high quality modern sporting rifle ammunition and dominates the 300 Blackout ammunition category. All of Gorilla Ammunition modern sporting rifle ammunition offerings are capable of Sub-MOA accuracy and have standard deviations in muzzle velocity of less that 15 feet per second. Gorilla Ammunition’s industry leading performance and quality control has helped them grow rapidly in a very competitive market.